There’s a reason why I haven’t posted that much about grooming goodies over the last few months. Partly, because I’ve been a slacker, but mostly because I was giving myself the time to properly use the following selection of grooming goodies. I’ve also included one product in this grooming goodies line-up for a laugh, but more about that further on in this post. I was first exposed to this product last year when I went to my local Dermalogica store for one of their express facials. It’s packed with anti-ageing active ingredients to hydrate ageing skin. These range from a polypeptide, glucosamine and soy combo to stimulate collagen synthesis to skin-firming tripeptides, yeast extract and phytoestrogens. In addition, this star product provides UVA and UVB rays protection with an SPF50. As with all the Dermalogica products I’ve used in the past, Dermalogica Dynamic Skin Recovery SPF50 delivers on its promises. It also earns extra points for its absorbability and for being artificial fragrance- and colourant-free. R1 199 for 150ml. A mouthful of a product name that perfectly describes my main skin concern. Retinol, a vitamin A derivative, is renowned as a highly effective anti-ageing ingredient due to its all-important collagen-building properties. Retinol can have a drying effect on the skin, so the inclusion of ceramide, with its moisture-boosting benefits, makes this product a powerful tool to combat wrinkles and lines, and boost skin texture and tone. I’ve already started seeing results. But what about the capsule format? Well, retinol is a highly unstable ingredient and exposure to sunlight and air can affect its performance. The mono-dose capsule counters these effects and means that you don’t use too much or too little of this highly recommended product among my grooming goodies. R565 for 30 capsules and R965 for 60 capsules. I recently reviewed two products from this Polish brand: Mincer Neo Hyaluron Strongly Firming Day Cream SPF10 and Mincer Neo Hyaluron Intensive Reconstructing Night Cream. I was impressed with them, so I decided to give this moisturising product a go, even though I don’t normally bother with hand creams. Too greasy. Too sticky. I just haven’t felt the need to use them. I’m glad I approached this product that “protects against harmful urban environments and damage caused by detergents” with an open mind, as the condition of my hands has improved since I started using it. That would come down to the active ingredients: sea buckthorn oil, camu-camu extract and shea butter. I also like the light citrus scent of this product. R85 for 100ml. I have dental issues, so any product that claims to gently, but effectively improve oral well-being should be given a chance to prove itself. 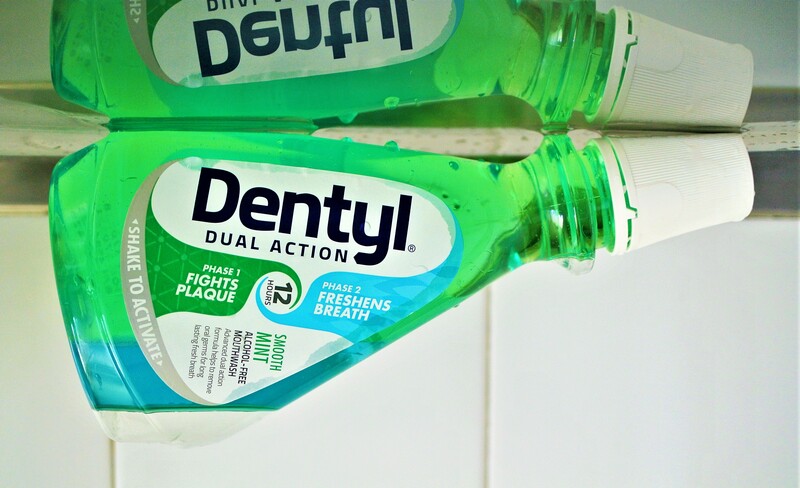 Dentyl Dual Action uses a dual-action process to fight plaque (the aqua-based phase one removes bacteria and plaque) and freshen breath (this phase contains natural essential oils for oral moisturising). The good news is that this product is alcohol-free, so goodbye to stinging and drying out of the mouth. It also contains fluoride. I’ve been using it for over a month as part of my daily oral-hygiene routine and am hoping my oral hygienist will notice the difference when I next see her. It’s available in the following flavours: Fresh Clove; Smooth Mint; Icy Cherry and Icy Mint. R82,95 for 500ml. Well, here’s a product I never knew I needed! But for a laugh, I decided to see what it’s about. The market is awash with female hygiene products and this product is classified as a male hygiene product for when a man’s balls need a bit of freshening up. It’s recommended for use on the groin area when a shower isn’t available to combat chafing and perspiration. I used it on those days when I was having a pyjamas-and-no-need-to-bath kind of day. Mostly, I felt a warm, tingling experience when using it, but couldn’t really detect much of a difference. Perhaps I need to use it when I am next camping at a three-day music event and bathing facilities are negligible. R149.99 for 75ml. The American brand launched its Redken Brews range for men fairly recently. It includes a full range of hairstyling, grooming, beard and face products. As I have been balding for a long time, I decided to focus on this shaving cream. As you know, I’m always on the lookout for shaving products that make this ritual that much easier. 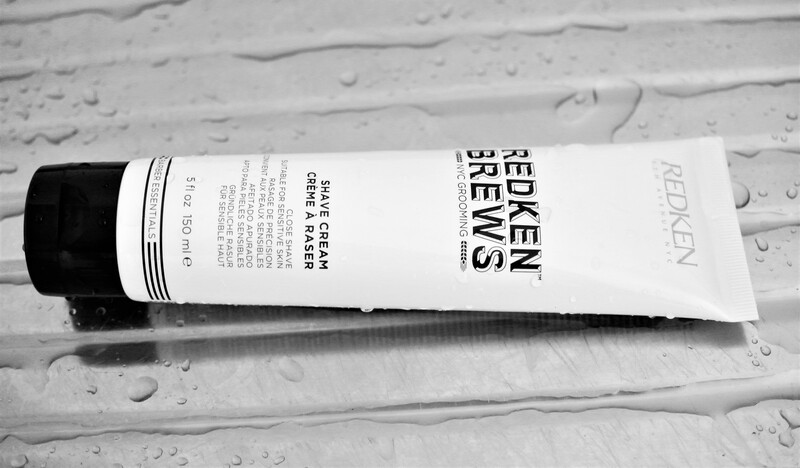 I’m enjoying using Redken Brews Shave Cream because it’s sensitive skin-friendly and it moisturises my skin while I use it. My only gripe is the price, but then it is imported from the USA. R580 for 150ml. Big thank you, Cathi. Only vigilant because I’ve been writing a few weeks in advance. Moving home is a hugely stressful and draining event, so perfectly understandable. Hope it’s a restful Sunday for you. Big thank you, Aurore. Glad you found it interesting to read.